Is there a better alternative to Responsive Video Grid? 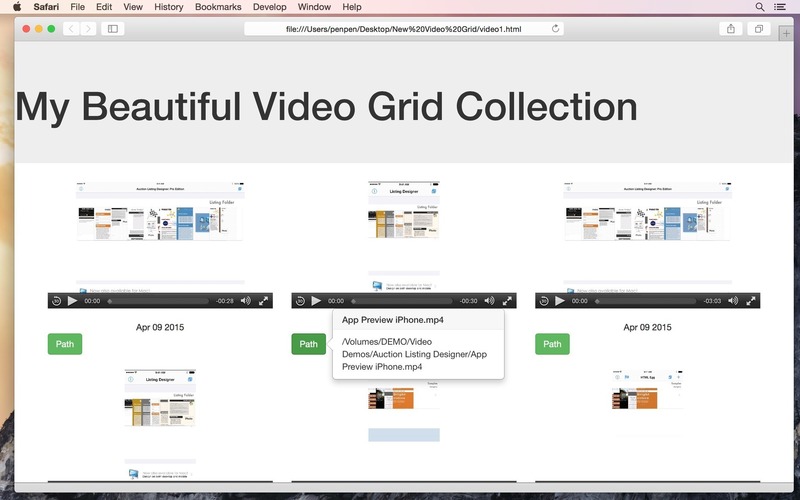 Is Responsive Video Grid really the best app in HTML category? Will Responsive Video Grid work good on macOS 10.13.4? With Responsive Video Grid you can create a professional video gallery in minutes! Responsive Video Grid is a great way to index and showcase your video and movie collections. Note: The downloadable demo is at 3.10. The version available for purchase on the Mac App Store is version 2.30.1. Responsive Video Grid needs a review. Be the first to review this app and get the discussion started! Responsive Video Grid needs a rating. Be the first to rate this app and get the discussion started!